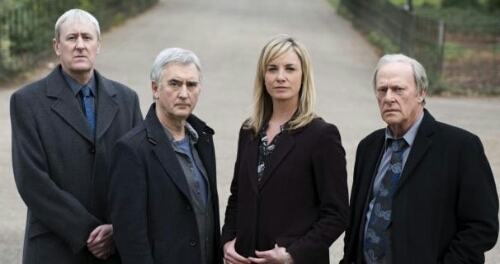 After 12 years BBC One has axed long running crime drama New Tricks. Broadcast reports, the series, made by Wall to Wall and Headstrong Pictures, will conclude with the 12th series this summer to make way for new dramas. In a joint statement, BBC1 controller Charlotte Moore and BBC drama controller Ben Stephenson said: “We are incredibly proud of New Tricks and would like to thank Roy Mitchell the brilliant creator, Wall to Wall and Headstrong, and all the cast and teams involved across the 12 series. The procedural series began in 2003, starring Amanda Redman, Alun Armstrong and James Bolam, who after leaving were replaced with Denis Lawson, Nicholas Lyndhurst and Tamzin Outhwaite. Dennis Waterman the only original cast member is set to depart during the final series and is replaced by Larry Lamb in the final episodes. For many years the series proved successful with high ratings for BBC One, but recently ratings have begun to deteriorate with last year’s series averaging 5.9m viewers. A spokesman for Warner Bros Television said: “For 11 series New Tricks has been one of the most enduringly popular dramas on television, regularly among the BBC’s highest rating, and Wall to Wall and Headstrong Pictures are hugely proud of the success of the show. The final series of New Tricks will air on BBC One in the summer.